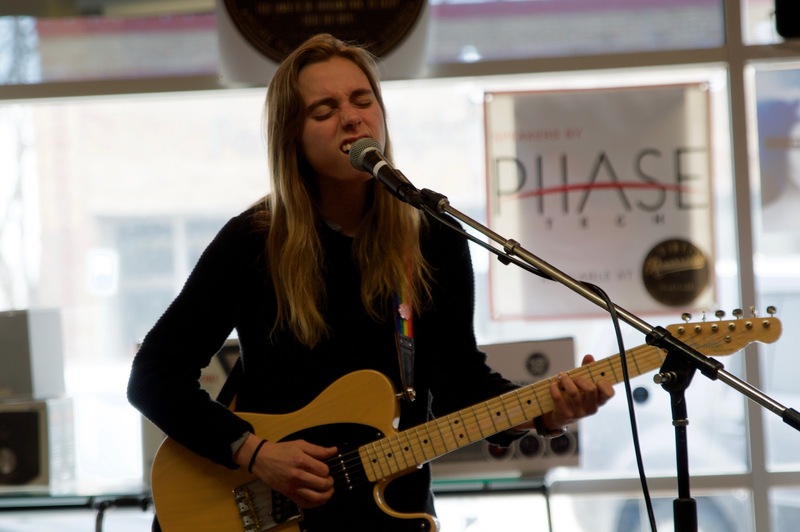 Shortly after noon on April 6, Julien Baker quietly scooted her way up to the stage at downtown Overland Park record store Vinyl Renaissance. Her eyes her baggy and her demeanor was calm -- most touring musicians can use all the sleep they can get -- but she still cheerfully offered the crowd of a few dozen a taste of the set they could hear that night at The Granada. Her gloomy compositions work better in the darkness of a theater than in the sunny window of a record store, and it's nearly impossible to not want more than half an hour from her, but fans that stopped in on their lunch breaks left more than satisfied. Her violinist joined her on the final two songs.